The Lee filter system is universal and offers the best range of professional filter solutions. The Lee filter system can be used with virtually all types of cameras and lenses including medium format and large format cameras. The extensive Lee system is modular and contains filter holders, wide angle lens hoods, normal lens hoods, lens adapter rings, resin filters, polyester filters, polarizing filters and accessoires. Our web shop has the full range of Lee filter components at discount prices We believe that the Lee filter system offers the best value for money of any filter system. 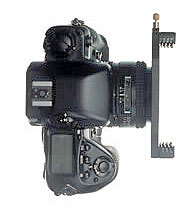 Lee filter holders and lens hoods attach directly to the front of a lens by using different screw thread lens adapters. Simply change the Lee lens adapter ring and the filter holder/lens hood is ready for use with a different camera or lens. Lee filter holders can be configured to work with almost any thickness of filter, including Kodak Wratten, gelatin and polyester filters. Options include being able to rotate the filter holders and being able to use multiple filters including polarisers. Lee lens hoods are fully self-supporting, so they stay in any position you put them in without needing guide rails or clamps. Lee resin filters are made from the highest quality optically correct acrylic material and are 2 mm thick. Sizes are 150x100 mm for Graduated filters & 100x100 mm for Standard filters. Lee's background in the motion picture industry guarantees that the highest possible standards are used during manufacture. The very extensive range of Lee resin filters includes Graduated, Neutral Density, Effect and Technical filters. The Phootos.com web shop has details and prices for all Lee filters. Lee Resin Filter Sets combine some of the most popular filters and are carefully chosen to complement each other. Click on the links below for information sheets on the available Lee Resin Filter sets. Lee polyester filters can be used either in front of, or behind a lens. The Lee Gel Snap holder clips over a lens barrel and is a simple way of positioning a polyester or gelatin filter. It works with both framed and unframed filters. Lee polyester filters can also be used with the Lee Foundation & Pro filter holders. The Lee polyester filter range contains technical and correction filters. Filter size is 100x100 mm, thickness 0.2 mm. The Phootos.com web shop has discount prices on all Lee filter system components. Revised: March 07, 2007 .